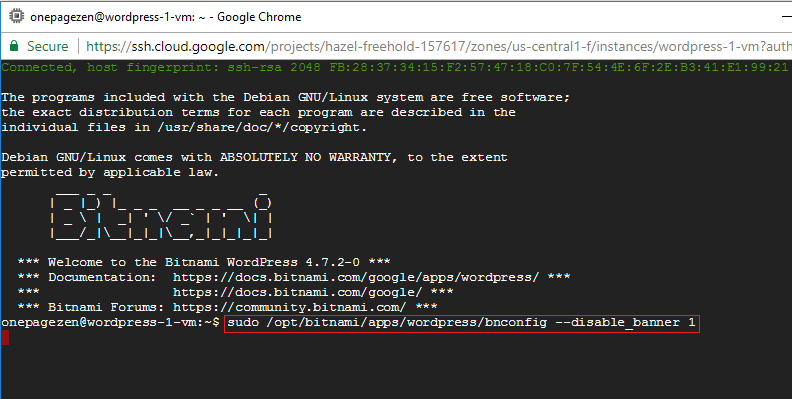 In this tutorial I will show you how to remove the Bitnami corner banner that appears on your WordPress site after installing WordPress on Google Cloud Platform. Before getting started with this tutorial, you should’ve already installed WordPress on Google Cloud Platform. To get started, follow along with the video above. If you get stuck, check below to see the steps listed individually with their commands. 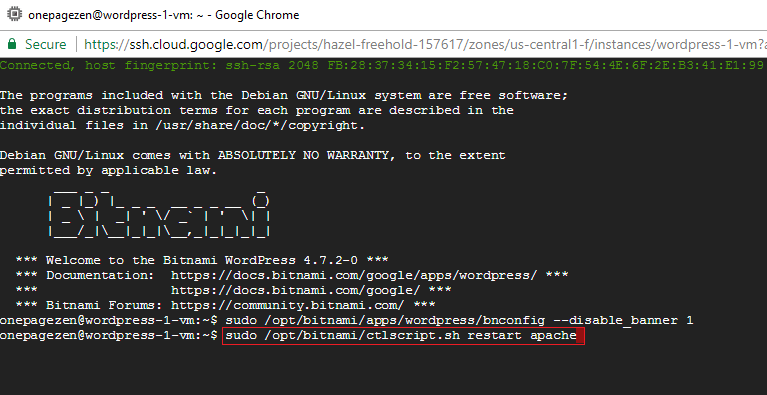 In the SSH window that pops up, enter the command below to disable the Bitnami corner banner. Enter the command below to restart Apache. Restarting Apache after making changes is generally considered a good practice. You will not longer see the Bitnami banner at the corner of your WordPress website. Working perfectly. Thanks for this best informative article. Glad to hear it – thanks for the feedback Yuvraj! Leron your tutorials are so very helpful. Thank you!!! i have learned hosting on google cloud from your videos. I am glad to hear the tutorials have helped you! No problem Arman – I’m glad to hear you found it helpful! You have to press CTRL + X, then Y, then press the Enter key. thank you very much, Hi sir How to replace Nginx Server instead of Apache Server, Is it Possible ? There are a couple of pre-configured LEMP (Linux, Nginx, MySQL, PHP) stacks in the GCP cloud launcher library. You can learn about them here and here. I’d recommend the Bitnami LEMP stack (the second link) because they provide a very thorough documentation with all of their stacks. Amigo déjeme felicitarlo yo no hablo Ingles pero he visto sus vídeos y me han sido de mucho ayuda de verdad muchas gracias. Thanks man, I appreciate it!! and relax, I’m not her for spam or promotion or anything. If you can make a tutorial on how to upload HTML/CSS Files with Images and a domain name link to it on GCP. That would be awesome! I appreciate all of the great comments and tutorial suggestions! I did the same with ghost cms and it work flawlessly. awesome bro. I think the tutorial should work across most (if not all) of Bitnami’s cloud stacks. If you’re having any issues with this tutorial, leave a message and I will see how I can help! I followed the tutorial exactly. Now when I try to log into the site the page is not recognized in the browser. Can you help? Please describe exactly what page you see when you try to load your website. Does it show 500 error? Is it an Apache start page? Yes, in google chrome I see a 500 error. In Safari, I see a blank white page. I set up a VM and a SSL for that site before then the auto-renewal stopped working so I All-in-one magrated the site to a new VM. Next I set up the Static IP and pointed the URL. Everything was up and running fine, however, woocommerce kept bringing up that the information page was not secure. So, I followed your tutorial again to set up the SSL and it now has done this. 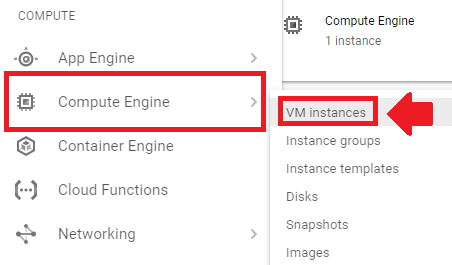 The things you need to check are that your DNS records are configured properly, that the IP address of your virtual machine matches the IP assigned to the A record in your Cloud DNS, that your Apache server is running (try running the restart command), and that your bitnami.conf file is configured properly as well. Unfortunately, there is not easy way to diagnose 500 errors – you just have to do a bit of digging.